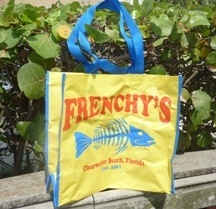 Perfect for the beach or carrying just about anything. Made from reycled plastic bottles. Approximately 16×16″.